A soft breeze was blowing in from the East carrying with it the stench of burning rubber, and the faint cries of someone in distress, the sound fading in and out of focus as the direction of the wind shifted. Window sat with his back against the wall of the barn, hidden in the deep shadows cast by the light of the full moon that rode across the starry sky. Without light pollution to cloud the sky it looked like a million stars sparkling against the velvety blackness of the night, the cloudy band of the Milky Way cutting a wide swath across the sky. He hated being alone, and with few exceptions, had found most of the survivors he knew to be tediously consumed with their own minor problems. Troubles that paled in comparison to the reality of the world in which they now lived. Holding his pistol in his lap, the intricate carving on the barrel coarse against the pads of his fingers, he watched the night as it slowly moved by him in an endless parade of shadows that pulsed and throbbed with sinister intent. With no one to distract him his thoughts began to wander, returning to that cabin in the woods. He felt small, helpless, as the old images blossomed from the bleak depths of his memories. With his minds eye he saw the interior of the cabin, a simple table next to a fireplace where a roaring fire bathed everything in a yellow light. 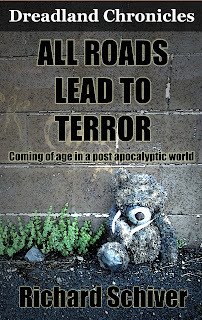 He could smell the wood smoke as it competed with the stench of unwashed bodies. Four men sat around the table passing around a jar, each taking a drink as it came to them, their voices muted as they spoke in low tones that sounded like the rumble distant thunder. Their words indistinct, their features cast in shadows as they ignored his presence and concentrated on the contents of the jar. The sound of shuffling steps came from the shadowy depths of the back room. Something moved in the blackness and Window was suddenly overcome with a need to vomit, his stomach twisting with terror at the secrets that lay shrouded by the gloom. The sound of a door opening pulled him from his thoughts and he looked up as Meat stepped out into the shadows beside Window, pulling him from his thoughts, washing away the image in his mind as a face materialized in the blackness. A face he recognized, twisted into the leer of a wild beast, with glowing eyes that bored into the very depths of his soul. Window wiped his hand across his brow, trying to extinguish the images in his mind as Meat lowered himself to the ground next to him. “Yeah,” Window said as the last vestiges of those remembered images faded into the nighted abyss of his past. “Did Billie Bob wake you in time?” Meat said. As he turned to glance at Meat he saw it for a brief moment from the corner of his eye. A lone figure watching them from the shaded depths of the forest that bordered an overgrown field that lay awash in the pale light of the full moon. He looked back, searching for the figure, catching sight of a darker shadow as it shifted its position. “In the tree line to the right of the old tractor.” Window pointed and Meat squinted, as he looked into the shadowy depths of the tree line beyond the old tractor sitting abandoned in the center of the field. A deeper shadow moved in the gloom and Meat quietly slipped off his boots. “What if it’s a Zombie?” Window asked as Meat slipped out of his jacket and got to his feet. “Then I’ll kill it,” Meat said before he vanished into the shadows. Window watched his progress, what he could see of it, Meat had become one with the shadows that were gathered close to the outbuildings occupying the open spaces of the small yard. It wasn’t long before Window lost sight of him and he shook his head as he shifted his position, making just enough noise to keep whoever was watching interested. He reacquired the target and settled back to watch, glancing to the right every so often as he searched for any sign of Meat. It was as if he’d become a ghost, and Window swore again he was going to have to have him teach him that trick. 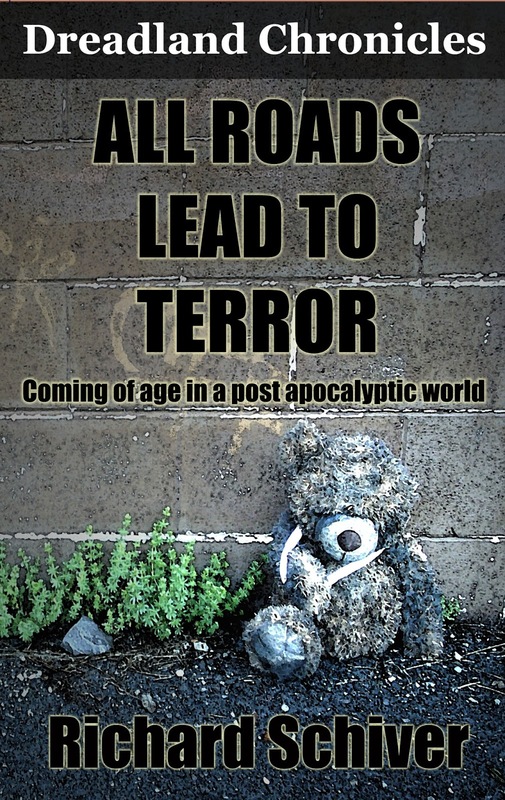 All Roads Lead to Terror is currently available for pre order, reserve your copy today.